Indonesia just can’t catch a break. Following earthquakes in Lombok in August, and a twin earthquake and tsunami in Palu in Central Sulawesi in October killing thousands, the country is once again reeling after Lion Air flight JT610 crashed into the Java Sea on 29 October. The plane was carrying 189 passengers, and all on board perished. While it was announced on Thursday that the black box from flight JT610 has been found, it will likely be weeks or months before we find out the exact cause of the crash. All we know so far is that the plane had a mechanical fault which was said to have been “fixed” the day before its tragic final flight. Low-cost carriers have revolutionised and democratised the way people across Southeast Asia travel. But low cost can also mean high risk. Whatever the cause of the crash, it is a crushing blow. Yet it is hardly a shock. Indonesia is known for its troubling aviation safety record, which saw Indonesian carriers banned from the European Union in 2007. While some have been slowly allowed back over the years, it was only in June this year that the full ban was lifted. The Lion Air flight JT610 crash is thought to be the worst of its kind in Indonesia since 1997, when Garuda Indonesia flight 152 crashed approaching Polonia International Airport in Medan in North Sumatra, killing 234. In 2014, Air Asia flight 8501 crashed into the Java Sea en route to Singapore from Surabaya with all 162 lives lost. While Garuda Indonesia, the country’s national carrier, has had its share of accidents, many of the main culprits of aviation disasters across the country are low-cost carriers such as Lion Air and Air Asia. In previous years, Adam Air and Mandala Airlines had a poor record, both of which no longer operate. 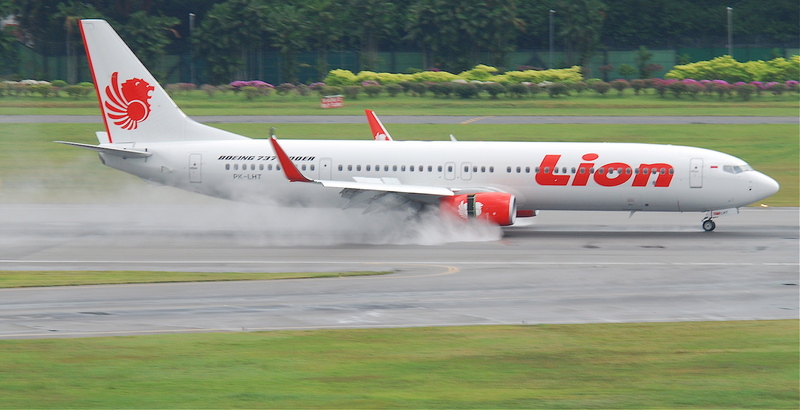 Lion Air’s safety record makes for troubling reading ­– 14 accidents, several serious, from 2002 onwards. Low-cost carriers, however, shouldn’t be completely demonised. These airlines have revolutionised and democratised the way people across Southeast Asia travel. While Air Asia’s slogan “Now Everyone Can Fly” may sound a little cheesy, it’s also largely true. In years past, plane travel was either prohibitively expensive for many, or stuck to well-trodden routes. This meant that some parts of Indonesia could only be reached after hours or days spent on dangerous roads, by bus, car or motorbike. In a country with some 17,000 islands, low-cost carriers have made mobility cheaper and easier. But low cost can also mean high risk, something that even the founder of Lion Air, Rusdi Kirana, who is now Indonesia’s ambassador to Malaysia, seemed to acknowledge when he boasted in a 2015 interview, “My airline is the worst in the world, but you have no choice.” It was a comment lacking empathy, yet it captured the reality. Following the Lion Air crash, Australian diplomats have been urged to avoid the carrier until the cause of the accident can be established. Doubtless, many other passengers will do the same. If you have the choice and the means, there are usually other options available but, for many, low-cost carriers are still the only feasible and affordable way to get around. And the alternatives carry dangers, too. In June this year, the KM Sinar Bangun passenger ferry sank at Lake Toba in North Sumatra due to overcrowding and bad weather, with almost 200 people aboard. Only 18 passengers were saved, but as the boat had no official manifest, the final death toll is likely to remain unknown. At the time of the sinking, survivors lamented the lack of life jackets aboard. The boat had a capacity for just 40 passengers, far short of the 193 packed onto its decks. Five months on, little has changed. Local administrators at Lake Toba have now insisted on all boats having an official manifest, but have not provided additional safety equipment or training for boat captains. The bigger issue is Indonesia has a dire safety record, not just in air travel, but across all forms of public transport. Bus accidents are also common. The real problem is that these tragedies appear to continue unabated, with few lessons learned along the way. The Air Asia flight 8501 crash, it later transpired, was caused by a combination of factors including technical faults, pilot error, and adverse weather conditions. As with the ferry sinking at Lake Toba, these kinds of tragedies are usually the product of a fatal confluence. Almost always, however, they can be traced back to a preventable problem caused by human error. Planes don’t just fall out of the sky, and boats don’t just suddenly sink. And while it is a true tragedy that can never be completely avoided, Indonesia can certainly do better. Until those in charge are held accountable and safety regulations are taken seriously, passengers continue to be exposed to needless risk when they travel around Indonesia.